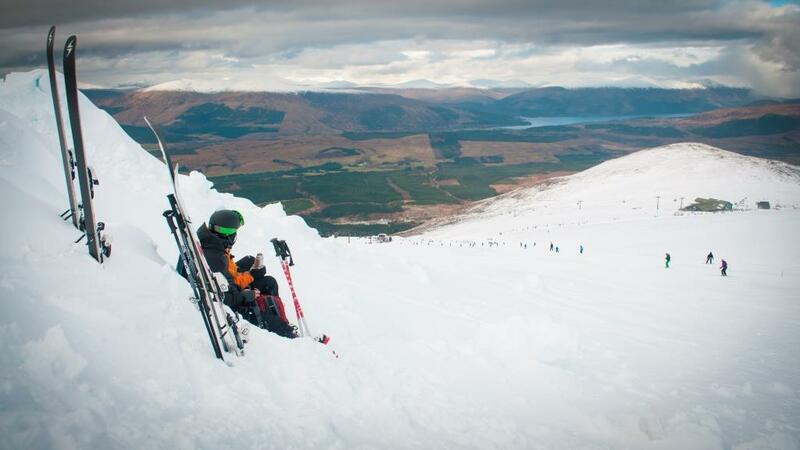 Taking a break from skiiing on the Nevis range, Scotland (photo credit: Steven MacKenna and Ski-Scotland). This winter is bursting with brilliant moments on Scotland’s mountain slopes and now is the time to get out there and experience the beauty of the mountain ranges in the snow. All of the five mountain resorts have new facilities for this winter season and CairnGorm Mountain is featuring in its own BBC One Scotland series. 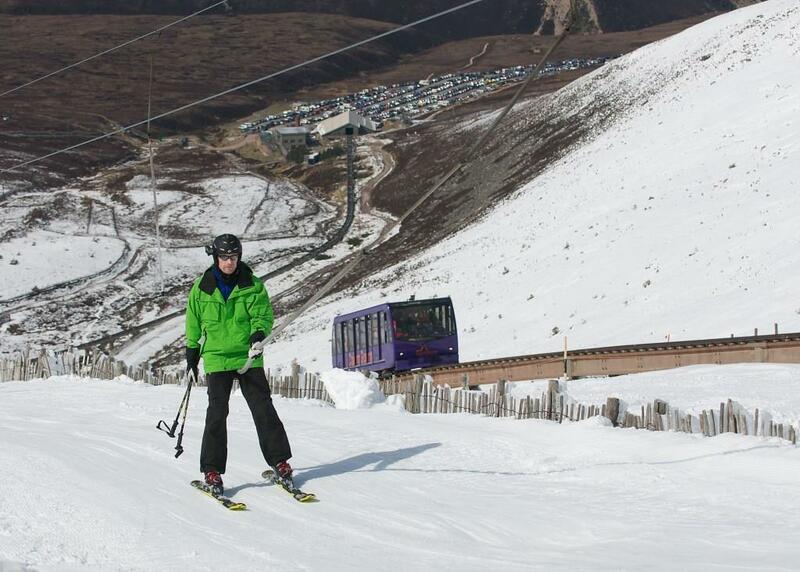 CairnGorm Mountain is one of the most beautiful and challenging skiing areas in the UK. Located near Aviemore, it is a short drive from the A9 and is accessible from all over Scotland. The Highlands resort has an altitude of 3,600ft and 18.5 miles of pisted runs which include runs to suit all abilities (12 green, 11 blue, nine red and three black). You can chose from one of 11 lifts or the funicular railway to take you to the mountain top where you’ll find the Ptarmigan Restaurant and Bar with stunning panoramic views over Loch Morlich. At the resort, there is a Ski & Snowboard School, which has a VisitScotland 4 star activity provider rating. The professionally qualified instructors offer group and private lessons for everyone from total beginners to those looking to improve their technique. One day lift passes are £34.50 for adults, with concessions available for children, seniors, students and half day passes. Cairngorm Mountain (photo credit: Steven MacKenna and Ski-Scotland). 1. Glenshee takes its name from the Gaelic ‘Glen of the Fairies’ and is the largest skiing resort in the UK covering 2,000 acres (which is four mountains and three valleys) and 25 miles of piste runs. 2. Glencoe Mountain is the UK’s oldest ski resort and has ten microlodges resembling hobbit houses and are available for just £50 per night per lodge. 4. Nevis Range near Fort William has the highest number of black runs in the UK, and has a gondola taking passengers from sea level to 2,150ft up the mountain. 5. CairnGorm Mountain recently became the latest Natural Retreats resort with new facilities being built. The five ski resorts are all within easy driving from around Scotland. Fort William is less than 10 miles from Nevis Range and less than 30 miles from Glencoe Mountain. Inverness is around 40 miles from CairnGorm Mountain and 50 miles from The Lecht, Aberdeen is around 65 miles from Glenshee. For information, inspiration and current snow conditions in Scotland go to www.ski-scotland.com.